While CSKA Moscow have been extremely dominant this season in the Euroleague, they enter this game knowing that they have never won in Milan. They last time they played Emporio here was four years ago but even last season in the Final Four, CSKA slipped to two defeats. This game represents a perfect opportunity to beat this hoodoo and CSKA also knows that if they win, they top the group, which is surely all of the incentive that they need. 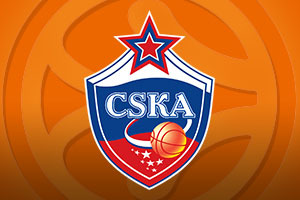 With five wins in a row behind them, there should be a great deal of confidence surging through this CSKA side but the Milan players know that they have an ideal chance to end their Euroleague campaign on a high and send their fans off into the night feeling slightly happier at the climax of their Euroleague adventures this season. The home side have endured a tough time in the Euroleague this season. They hold a 9-14 record overall which includes a 5-5 standing in the regular season and a 4-9 record in the Top 16. As for CSKA Moscow, they have a highly impressive 21-2 record. This contains a 10-0 record in the regular season and an 11-2 record in the Top 16. There was one brief wobble for the Russian side but before too long, they jumped back into fine form. With respect to average points scored, the Russians league 87.8 to 77.3. MarShon Brooks is the leading man for Milan, offering up an average of 12.8 points per game this season. He has been ably assisted by Samardo Samuels who has provided an average of 5.2 rebounds per game this season. Daniel Hackett has also been an important player for Milan this campaign, offering up an average of 4.6 assists per game. Milos Teodosic has provided an average of 16.8 points per game this season and he has also managed to provide an average of 7.1 assists per game this season. With Andrei Vorontsevich providing an average of 6.0 rebounds per game, CSKA Moscow have a number of players that are instrumental to the success they have achieved on the court this campaign. With a 25-3 record in the Russian league, CSKA are as dominant at home as they are in Europe. The most recent game for Moscow was an 83-75 home win against NizhnyNovgorod. As for Milan, they hold a 22-2 record at the top of their league and they are extremely comfortable in the Italian league. Their most recent game was against JuveCaserta Basket and it resulted in a 78-82 away win for the side from Milan. Taking CSKA Moscow with a -7.5 handicap, at odds of 1.90, is sure to be a decent bet for this Thursday night game. 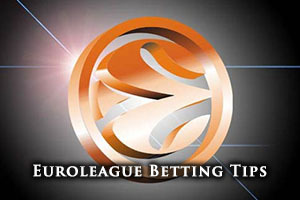 Anyone that likes to get involved with the Over/Under market will find that choosing to go UNDER 163.5, at odds of 1.90, is likely to be a decent bet to add some fun and sparkle to Thursday night Euroleague betting action. Bet Now!